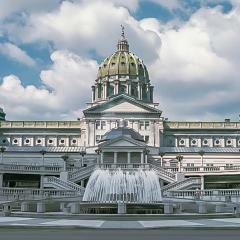 Plan a visit to Harrisburg and add this National Historic Landmark to your itinerary. Imagine you’re standing in front of the Pennsylvania State Capitol building around the time of its dedication on Oct. 4, 1906. Close your eyes and envision you’re looking skyward at what was considered to be the tallest structure between Philadelphia and Pittsburgh. The capitol building held that record for 80 years. That must have been quite a sight to behold. As a life-long Pennsylvania resident, I’m sorry to note I had only seen my state’s capitol building from a distance until earlier this year on a sunny late September day. As the traffic whizzed by me, I took a moment to admire the dome from the sidewalk in front of the complex. I realized I had no idea what entrance to use. As I walked up and down two flights of exterior steps twice, I checked my watch and realized I was five minutes late for my scheduled tour. I stopped briefly to ask a bystander to point to the main entrance that would lead me to the main lobby and the man directed me to two sets of double doors. A security guard mapped out my trek to the lobby where I found the information desk surrounded by several large groups of visitors who were ready to embark on their tours. There, I met my tour guide. Visit Hershey-Harrisburg arranged my tour as part of a three-day media trip to Hershey and Harrisburg. I left Central Pennsylvania with a significantly greater understanding of why Harrisburg has remained Pennsylvania’s capital since October 1812 thanks to my tour guide, Jill Fetter. 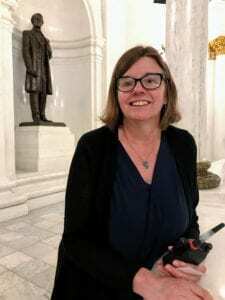 She’s the Capitol Visitor Services director and The Pennsylvania Capitol Shop manager in the Main Rotunda and an expert in both the building’s history and design. Philadelphia architect Joseph Huston (1866-1940), designed the massive capital structure based on his vision of a “Palace of Art” and that’s exactly what you’ll find. The building and furnishings cost $13 billion. Aside from its obvious grandeur and size, the exterior of the building is a gateway to the splendor you’ll find inside – classic American Renaissance style architecture that’s combined with artistic details that are unspeakably magnificent and illuminated by approximately 4,000 lights and 48 portholes in the dome. Suffice to say, the building lives up to its reputation as the most beautiful capitol building in our nation. In fact, history has it that President Theodore Roosevelt proclaimed the capital as “the handsomest building” he ever saw when he attended the dedication of the building. The interior focal point is the grand staircase – an ideal vantage point for visitors to view eight large murals by Philadelphia artists, Edwin Austin Abbey, and the famous Barnard Statues by George Grey Barnard, and 17-foot bronze doors that each weighs a ton. 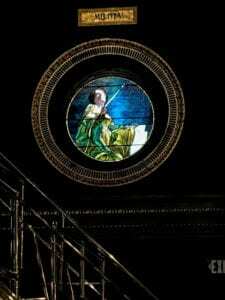 Keeping your eyes fixed on one element at a time might be difficult for even the most disciplined spectator as your tour guide describes each of the massive installations of stained glass, murals, and paintings crafted by the most talented artisans of that era. 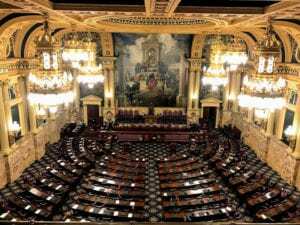 Some of the largest rooms feature a European influence with distinctive Renaissance elements – Italian in the House Chamber, French in the Senate Chamber, and English in the Governor’s Reception Room. Add to that mix Greek, Roman and Victorian installations of exquisite art and ornamentation displayed throughout the building. 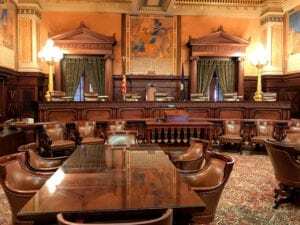 Historians, politicians, teachers, students, architects, travelers, and anyone with an appreciation for history and art and a fascination with politics and lawmaking, should visit the Pennsylvania State Capitol complex. Architectural students will want to study how Huston, the architect-of-record, incorporated motifs that embody Pennsylvania’s achievements in history, animals, industries, occupations, and modes of transportation into his design. Whether your glance is towards the dome, straight ahead, or under your feet, you’ll find examples of Huston’s affinity for art. One example is the Moravian tiles you’ll see intermingled on the lobby floor. 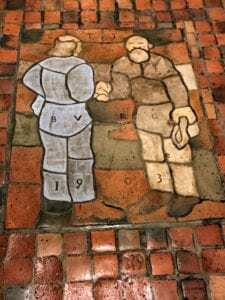 They were designed and manufactured by Henry Chapman Mercer of Doylestown, PA as a way to illustrate and incorporate the talents and wares of local craftsman. There’s so much to see and take in at the State Capitol Building. 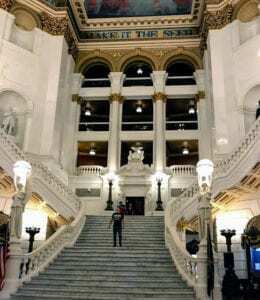 Take the time to download the PA Capitol Self-Guided Tour Mobile app to learn about the self-guided tour stops, how a bill becomes law in PA, and research additional information in five languages: English, Spanish, French, Italian, and German. Tours are free and offered every half hour Monday through Friday, 8:30 a.m. to 4 p.m. or on weekends and most holidays at 9 and 11 a.m., 1 p.m. and 3 p.m. You won’t be able to tour the capitol building on New Year’s Day, Easter Sunday, Thanksgiving and Christmas day but you’ll have plenty of other options before or after those holidays. I encourage you to register for a tour so won’t miss a detail along the way. A Capitol Tour Guide will fill your head with architectural, artistic, and political highlights that will make this building’s incomparable beauty come alive for you. 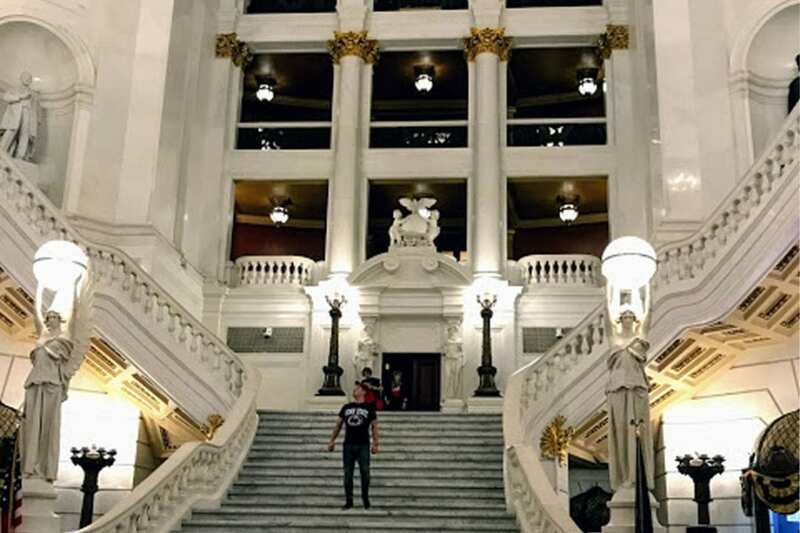 If you decide to wait to schedule your tour until you arrive in Harrisburg, be sure to check the schedule before arriving at the capitol complex. 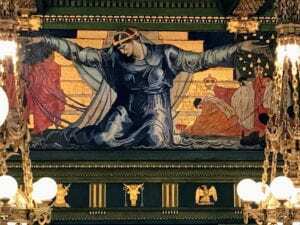 Allow Pennsylvania State Capitol Complex tour guides, Jill Fetter and her staff, to show you around one of Pennsylvania’s most extraordinary buildings. For help planning your trip to Pennsylvania, visit www.VisitHersheyHarrisburg.org. Most of us love a story with a happy ending. We’ve all heard of extraordinarily successful entrepreneurs and we can’t help but wonder how they rose above the day-to-day challenges associated with running a business. Milton S. Hershey is an individual we can admire for his dream and vision but he wasn’t an instant success. 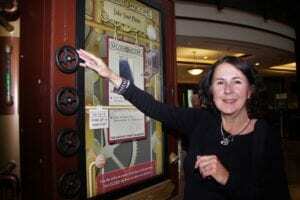 Where can you learn more about Milton S. Hershey and his legacy? At the Hershey Story Museum, The Hershey Company’s most recent building endeavor. The Hershey museum opened in January 2009 in the heart of downtown Hershey, a magical town where the streetlights are modeled after Hershey Kisses and the aroma within each building is a reminder of why chocolate is a good as gold. More than 160,000 people visit the museum every year. 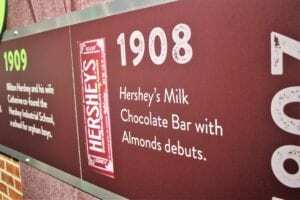 The story goes that around the turn of the century, chocolate was a booming business and Milton Hershey was so inspired, he sold his caramel business and broke ground for a new chocolate factory in nearby Derry Township, his hometown. For as long as I can remember, the Hershey bar has been a symbol of chocolatey sweetness and the iconic chocolate-colored wrapper that has evolved over the years is also a reminder of days gone by. But it’s more than the chocolate that’s represented in the museum. It’s Milton Hershey’s rag to riches’ story. Walk into a grocery store or anywhere that food is sold and you’ll likely find a product manufactured by the Hershey Company. 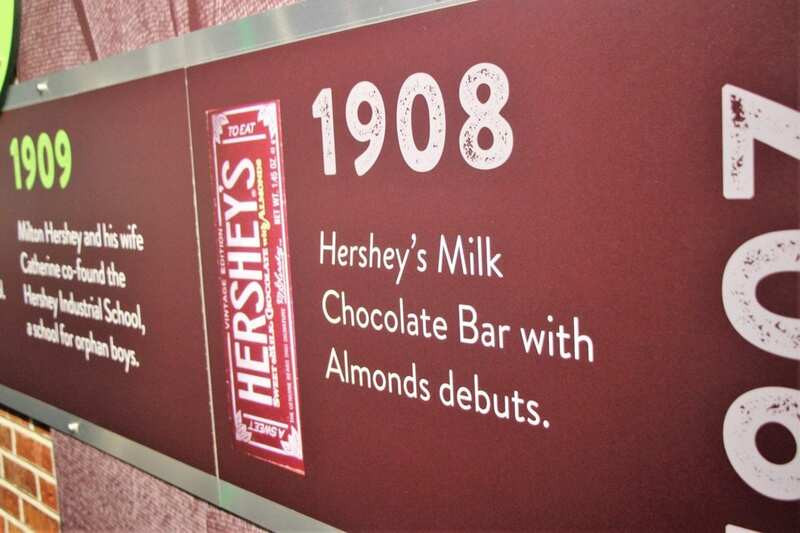 More than a century after Hershey built his factory, Hershey products are manufactured and savored around the world. 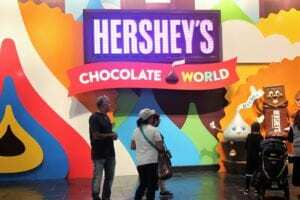 My recent media trip to Hershey was a fascinating mix of chocolate culture. 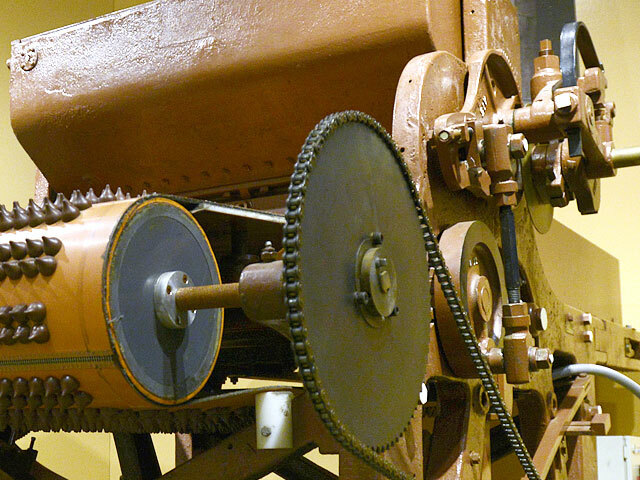 The Hershey Story Museum, 63 West Chocolate Ave., Hershey, Pennsylvania, helps to tie together the entire Hershey experience with a mix of exhibits and archives that will ignite your curiosity about the art of chocolate making and demystify the man who started the company from scratch. Where are the ingredients sourced? Where does Hershey find such large quantities of cocoa beans to mass produce chocolate? Where do the sugar and dairy that are key ingredients in many of products originate? 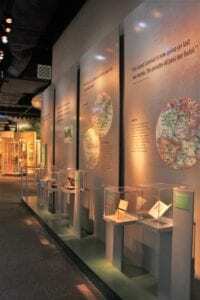 The exhibits answer those questions through visuals and hands-on experimentation that every child and adult should experience at least once. the “Grand Cross of the National Order of Carlos Manuel de Céspedes” by Cuba’s president in 1933. 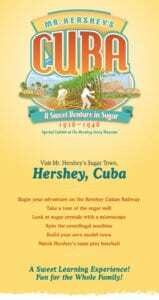 Image courtesy of The Hershey Story Museum. The “Failures to Fortunes” exhibit is one that particularly illustrates how determination can result in ultimate success. Milton S. Hershey found success while at the Lancaster Caramel Company and grew his company from there into a booming chocolate business. Each piece in the exhibits is presented so they appeal to adults and children. Visitors can watch candy-making equipment in action or a virtual Hershey Kisses’ wrapping line. The goal is to honor Milton Hershey and preserve the immeasurable impact he had on the town of Hershey and the world. 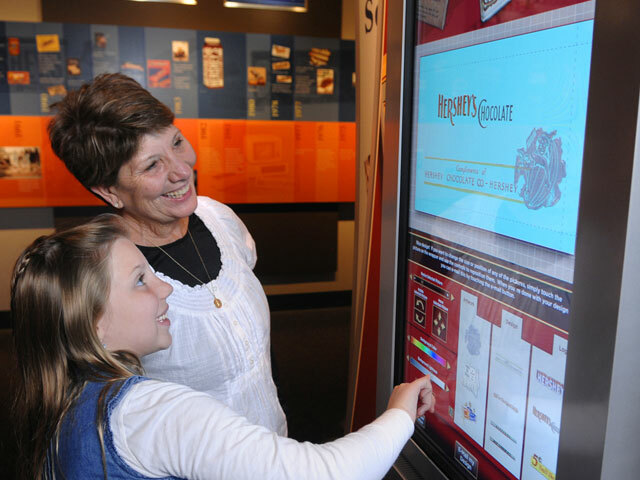 ArchiText LSC design and world-renown exhibit designers Gallagher and associates partnered with the MS Hershey Foundation to create The Hershey Story Museum. The science of chocolate-making helps to expand a child’s knowledge base. Photo courtesy of The Hershey Story Museum. The museum took approximately three years to build after a year-and-a-half in the planning stage, with an impressive attention to details that’s obvious from the moment you step into the museum. Allow two to three hours for a walk-through or longer if you and your family want to investigate each exhibit and take part in the hands-on Chocolate Lab where you’ll learn how chocolate is made in a fun hands-on workshop. Do YOU want to make your own chocolate treat? You’ll leave with a better appreciation for the chocolate-making process after you’ve made your own sweet treat. Don’t leave the museum without stopping at The Pantry Cafe for coffee, sweets and confections, a smoothie, breakfast and lunch sandwiches and salads and other treats to round out your museum experience. Come to the museum as a family or plan a school field or scout trip to the museum. Winter can be long and boring. 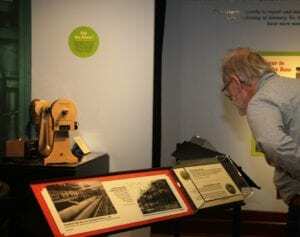 Check out the calendar of events here and beat the January and February blues at The Hershey Story Museum. What do you love most about chocolate? The taste, smooth texture, or the creaminess that melts in your mouth, or all of the above? I’d love to know your answer. Please leave a comment on the form below and share your thoughts on Instagram at #ChocolateWorld. The Hershey Story Museum is only a few Hershey Kiss miles away (nine minutes) from Hershey’s Chocolate World, another extraordinarily popular attraction. This one is free. You can board the chocolate making tour and find and smell the outrageous chocolate aroma throughout your tour. Hershey’s famous characters tell the story of chocolate making that begins with cocoa beans and ends with the wrapping process. Find your seat on the indoor tour tram. Tours run continuously throughout the day every 30 minutes (during business hours) and it’s WHEELCHAIR ACCESSIBLE. After you’ve learned everything you should know about chocolate making, head to the 3D Chocolate Mystery Show and by that time, oh, you’ll be ready to create your own candy bar. The fun continues with the Hershey Trolley Tour, a seasonal way to view the incredible array of attractions Hershey offers its visitors. Book your tickets in advance online for the Holly Jolly Trolley that’ll delight your children. Or stop at the Central Ticketing office to purchase tickets. Caroling, stories, and a visit from a special guest will keep you entertained and set you in a holiday mode. I visited Hershey in late summer and early fall and arrived to find flowers in bloom and meticulously manicured grounds and a flurry of activity. Each season brings something new in this old-fashioned town. Put down your electronic devices so you can appreciate the farmlands and rolling hills that lead to Hershey. 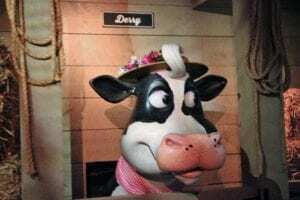 Play a game about what you see, or count the number of cows along the way to prepare your family for the attractions that will greet them at Hershey. Whether your dream vacation calls for a backpacking trip through any one of the seven continents or a personalized tour of ancient ruins or Japan’s centuries-old temples, Smithsonian Journeys primary goal is to bring the world’s diverse cultures and natural sciences to you by way of travel. If you’re on the Smithsonian Journeys mailing list, I’m sure you’ve found the journey offerings exciting and intriguing, to say the least. 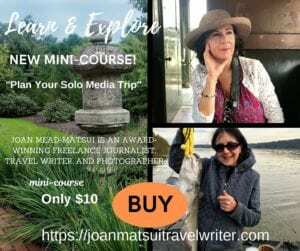 I reached out to Paula Swart, Smithsonian Journeys travel expert and Karen A. Ledwin, Smithsonian Travel vice president, program management, for details about destinations and adventures that will stir your inner traveler. Scroll down to see their answers. Paula Swart’s primary role is to provide a relevant educational component to the trip experience. Tell me about your most recent Smithsonian Journeys trip. Where did your travels take you? Most recent trips, twice to Vietnam (overland and cruise) and one trip to Japan, the Inland Sea. Where and when will you embark on your next Smithsonian Journeys trip? 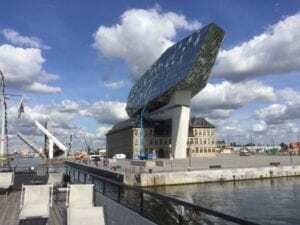 Barge trip through Holland & Belgium September 21-29. Being a native of Holland and having traveled many times to Belgium, I have lectured several barge trips since 2013, usually in April/early May to see the flowering bulb fields. How did your relationship with the Smithsonian evolve? How many trips have you taken on behalf of the Smithsonian? I was approached in late 2016 and this will be my fourth Smithsonian trip. I have been involved in educational trips since the early 80s after studying for two years in China. Photo courtesy of Paula Swart. What attracted you to Asian art, culture, and history and how have your experiences helped to prepare you for your trips, i.e. what do you find most fascinating about Asia? Growing up in The Netherlands with our colonial history in Indonesia, I experienced Asian culture from a very early age through food, art, literature, puppet performances, and storytelling, and in my professional life, I became a Curator of Asian Studies working in various Canadian museums. 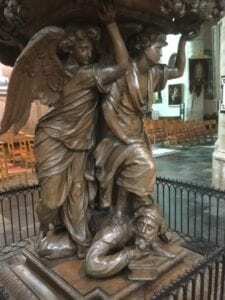 I am foremost interested in art, archaeology, and history, but it is always the people connections which give meaning to the travel experience. 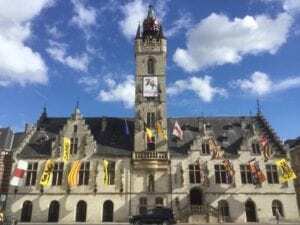 Visiting the same country on many occasions over a long period of time provides the opportunity for a deeper understanding, which in turn can be conveyed during my presentations, or if the opportunity arises write articles. What are a few of your goals for your upcoming adventure? Reconnecting with the countries to be visited and to provide insightful presentations to the travelers. Dutch, French, German, English, Chinese, in addition, I studied Japanese, Tibetan, and Spanish. What is the overall goal for each of the tour directors and experts you enlist? The goal of Smithsonian Journeys tour staff is to deliver the high-quality experience our travelers expect and to ensure that Smithsonian’s mission of “the increase and diffusion of knowledge” is infused in the talks, discussions, excursions and other tour activities. See our difference on our website and the Backgrounder document for more details. How do you choose a destination? What are the criteria? Smithsonian Journeys has been operating cultural and educational tours for nearly 50 years and offers tours and cruises on all seven (7) continents in a variety of travel styles, including Classic Land, Cultural Stay, Small-Ship Ocean Cruises, River Cruises, Special Interest, Active, Family, Private Jet, and Tailor-Made. 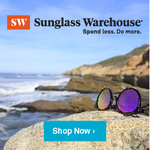 With such a long history in enrichment travel, a significant part of our portfolio is selected when our travelers tell us where and how they want to travel, both through sales and in their post-tour evaluations. In addition, new tour selections will often be centered around an anniversary (Leonardo Da Vinci’s 500th anniversary) or event (Chile Total Solar Eclipse) where we know our curious and worldly travelers have an interest. What are a few of the activities your travel guests can expect to enjoy while on a Smithsonian Journeys trip? Smithsonian Journeys tours and cruises are infused with talks, discussions, excursions and other activities – all delivering against our promise of in-depth learning and enrichment. Do you offer opportunities to visit museums, shop? While not the focus of our trips, during the free time people will certainly shop. Do the trips allow time for participants to enjoy water activities or experience the peoples and cultures of a particular location, etc.? Yes to all. One important and distinguishing feature is the inclusion of a Smithsonian Journeys Expert throughout the tour or cruise. One exception is on multi-generational Family Journeys where the focus is on interactive activities for the whole family from learning stage fighting at Shakespeare’s Globe Theatre, to drawing al fresco in Tuscany. Another exception is found on our new Active Journeys where the act of walking and biking in small groups takes our travelers to smaller towns and villages, where local experts join the group in the evenings for a talk and/or the group visits their atelier, weaving center, or similar. Some of our Cultural Stay Journeys are based in small towns like an Andalusian Parador in the small, picturesque town of Antequera from which our travelers explore the region. And our three week Living in Provence program allows travelers the opportunity to live like a local in an Apart/Hotel and to participate in different enrichment tracks. 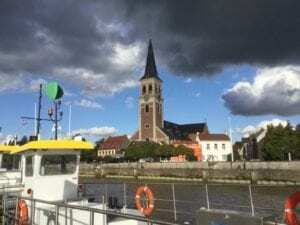 We find that travelers want to see the iconic sites when they visit a destination but they also take delight in combining this with an off the beaten path stop or stops along the way. For example, on many of our journeys, we stay in small, distinctive accommodations that may be family owned, and the family treats our travelers as one of their personal guests. For more information about upcoming Smithsonian Journeys, call 855-330-1542.